Looking for a big, inexpensive smartphone on a prepaid plan? ZTE’s new 6-inch, $200 off-contract Grand X Max might suit you. This morning, the China-based company announced that its newest handset is heading exclusively to Cricket here in the US. With the exception of the battery, which has an impressive 3,200mAh capacity and slots into a compatible Qualcomm Quick Charge 1.0 socket, the Grand X Max is rather unremarkable. Despite the device’s size, the screen is 720p, and a lowly Snapdragon 400 and 1GB handle computing. In terms of other internals, the Grand X Max sports a 1MP front-facing and 8MP rear-facing camera, 8GB of storage, microSD card slot, and will ship with a lightly skinned version of Android 4.4. It is scheduled to go on sale October 10. 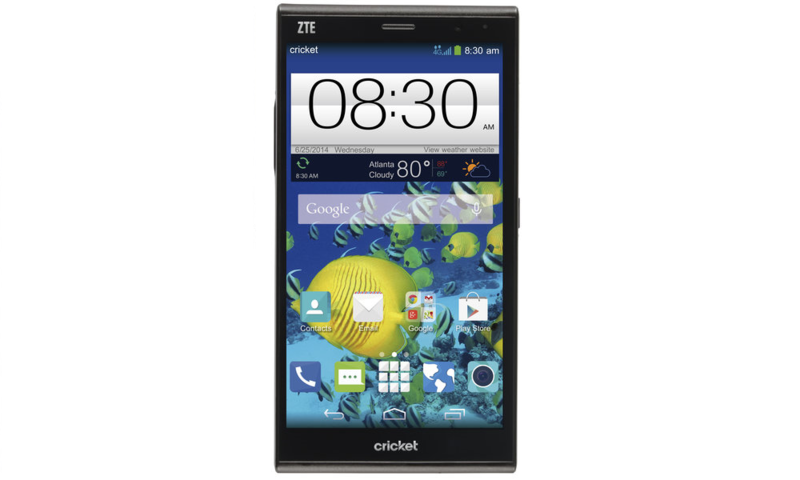 Atlanta, GA., October 7, 2014 – Cricket Wireless announces the launch of its second phablet, the ZTE Grand X Max. Priced at $199.99 with activation, the ZTE Grand X Max will be available in Cricket stores nationwide and online starting October 10th. Whether you’re an on-the-go mom, a super social user, a business user, or a value seeker wanting the advantages of a larger smartphone, this is the device for you.